Product prices and availability are accurate as of 2019-04-19 00:18:22 BST and are subject to change. Any price and availability information displayed on http://www.amazon.co.uk/ at the time of purchase will apply to the purchase of this product. Many of us dream of escaping to the countryside and living in a picturesque village. 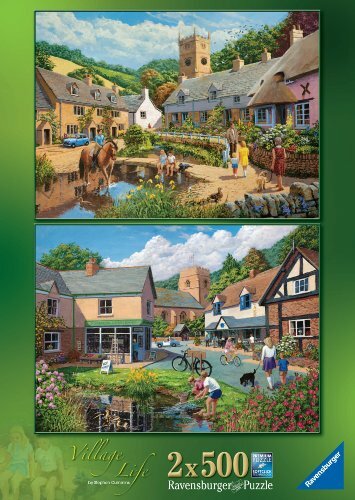 Not everyone is lucky enough to achieve this, so escape into these lovely jigsaw puzzles instead. Let your mind wander as you piece together the puzzles, and imagine what it might be like living in these beautiful surroundings. Each puzzle has a strong nostalgic feel and brings to mind the less hectic pace of life in days gone by. 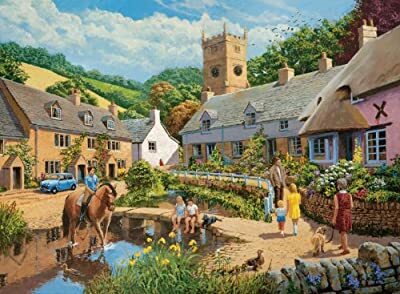 Puzzlers will enjoy piecing together the pretty cottages, shops and church buildings included in each scene. 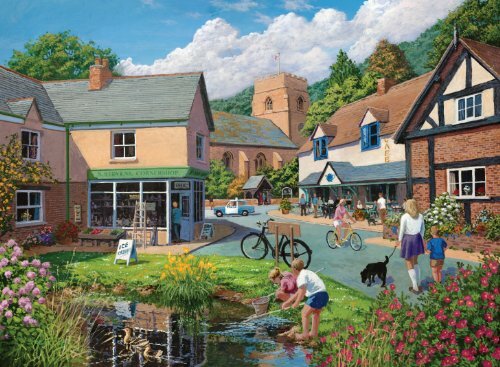 Specially created for Ravensburger by British artist Stephen Cummins.